Ironbark’s Customer Order Software is designed to efficiently and reliably manage each stage of the sales and invoicing process. This process requires time saving tools for entering and processing the order with complete integration with Stock Control, Debtors, General Ledger, Sales Analysis Delivery Scheduling & Forecasting. Ironbark Customer Order software provides these tools. Unlimited line items, alternate product codes and multiple delivery addresses per customer and faxing and emailing functions are just some of the standard features of this module. If you have intricate pricing structures for your stock items, you needn’t worry as Ironbark Customer Orders provides for adaptable pricing with up to five standard price lists with automatic override based on either contract price per item or product quantity breaks. Additionally, there is an extensive discounting hierarchical structure through individual customer, customer group and product group with manual override, plus the ability to sell in multiple units of measure. Flexibility provides for the modification of invoices or picking slips prior to updating files and easy creation of purchase orders straight from the customer order. Password protection can be setup on overdue accounts, negative stock selling, debtor credit limits, zero price invoicing, cost less than price and order holding along with integration to EDI ordering. Credit notes can easily be loaded from the invoice and applied to the original invoice with the option for credit notes to update stock. Reason codes and reports can be run on all credits. 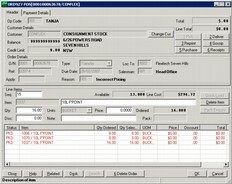 Some of the reports generated from Customer Order software include: detailed line item order by customer or enquiry, detailed customer order by product or enquiry and detailed order or invoice by customer or enquiry – all of which can be run as exception reports for selected date ranges, backorders only and selected line items status (eg. WIP or selected for invoicing). Sales journals showing margin on sales, disbursements and summaries, weekly sales reports and details sales reports (this yr/previous year) can also be run from Ironbark Customer Order software. 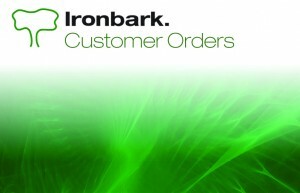 Ironbark can supply you with the infrastructure required from the customer order software. 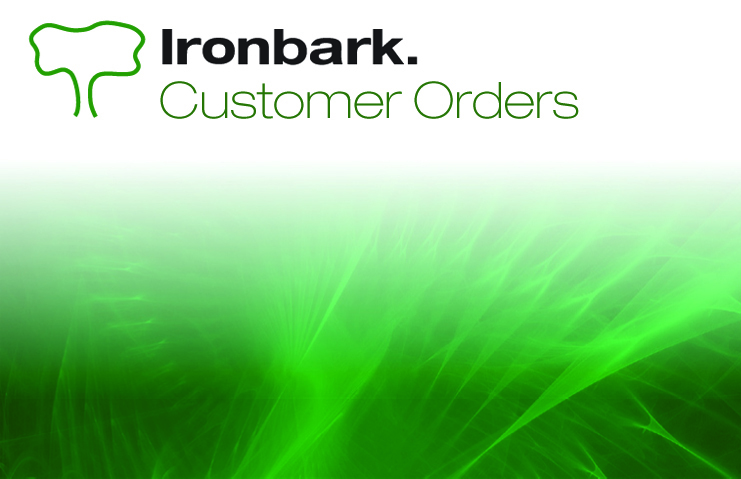 Read the Ironbark Customer Order Software overview today!